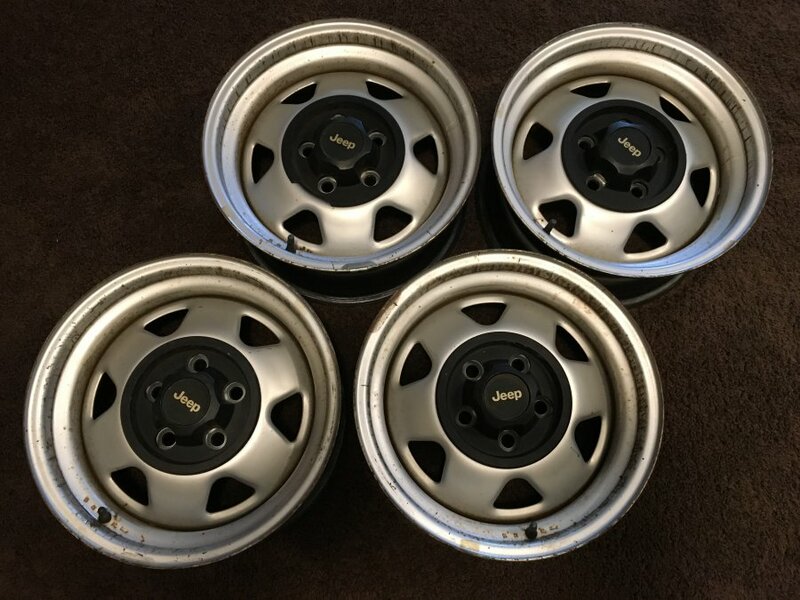 Hi, I have sets (4 each) of TJ & YJ steel wheels that I would like spares for. I just need one of each. If they are in your way & you live in or around the St. Louis area, let me know! Thanks! Have you tried posting on 618 Jeeps (Facebook)? No, I didn't. But thanks for replying! I need to let folks know that I'm good with the TJ wheels now. 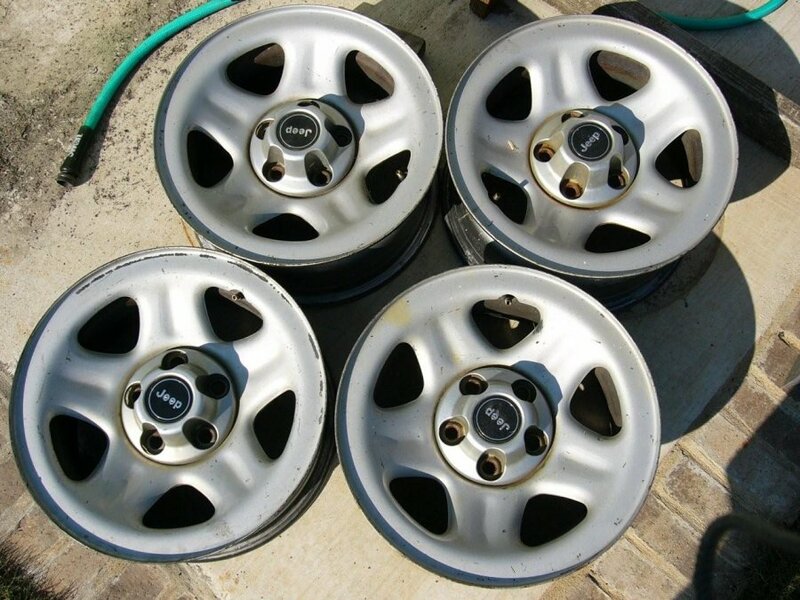 I still need a YJ wheel though (the bottom picture). I didn't even know about 618 jeeps, thanks for the heads up!